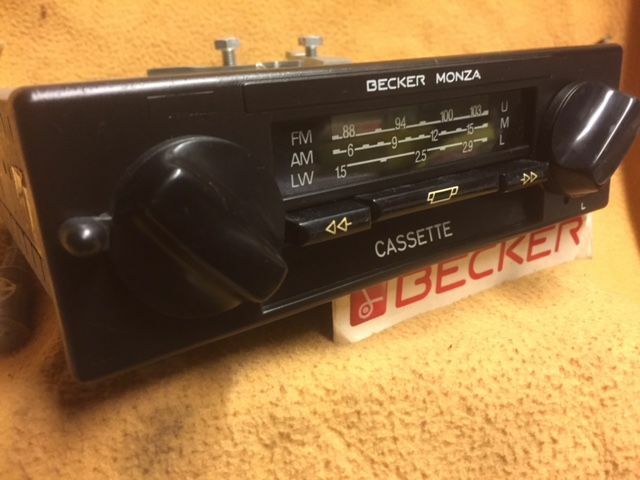 Nice, working Becker Monza Cassette in STEREO with FM, Medium Wave and Long Wave. 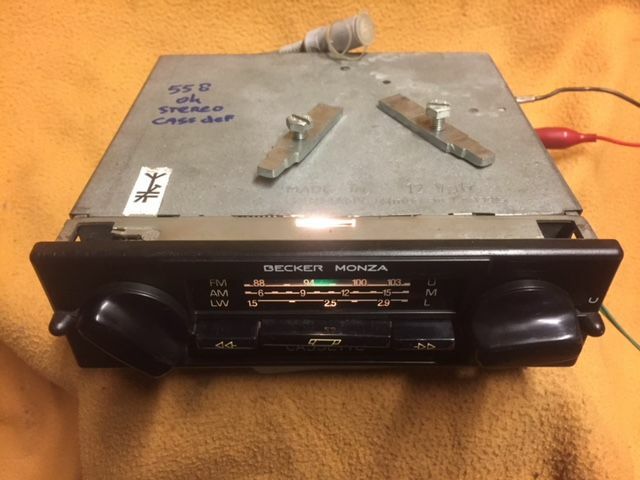 The radio has a neat front and various preset buttons. 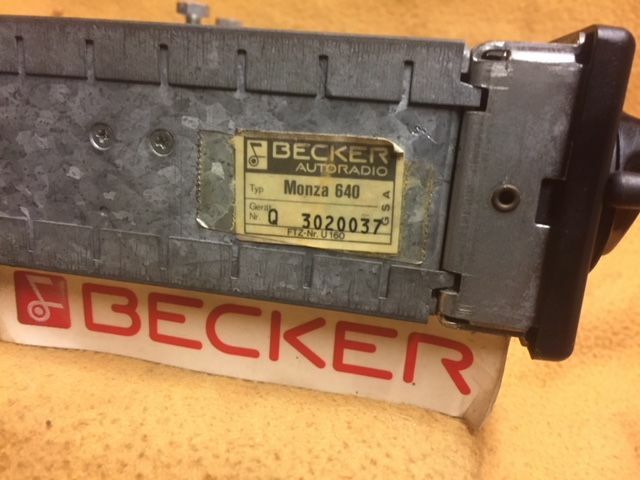 With original Becker mounting brackets. 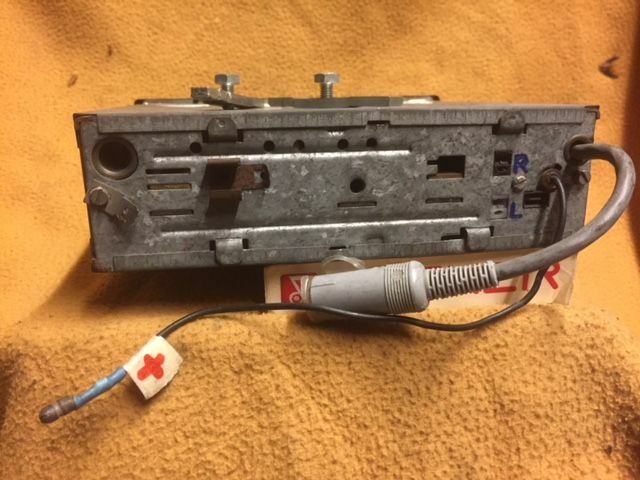 The cassette input blocks. 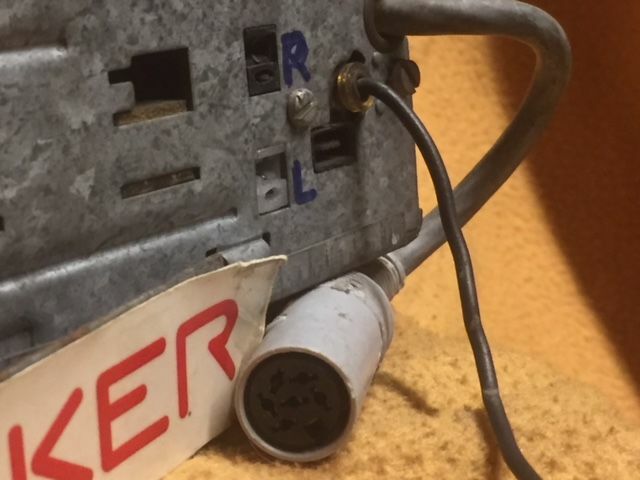 Via the AUX-connector at the back, you can play music from your iPod, iPhone or other mobile device by using an adaptor (not included). 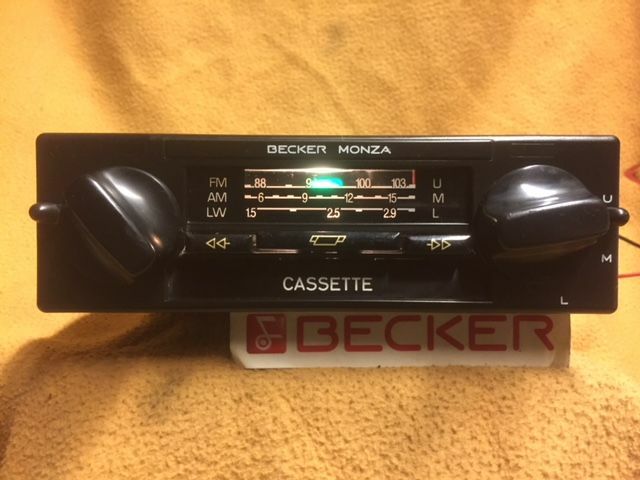 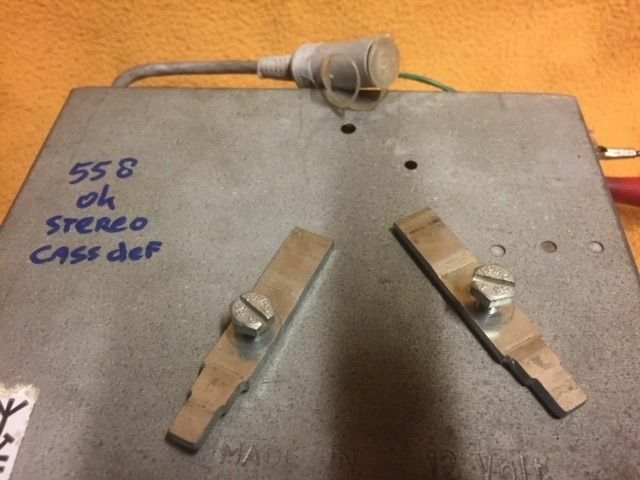 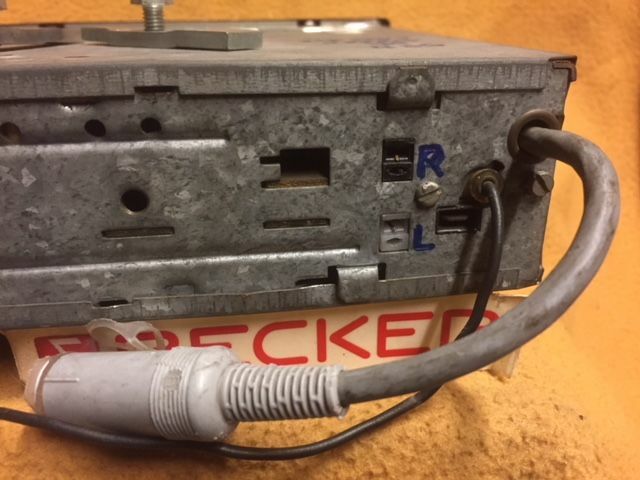 This classic (stereo) Becker Monza radio for (modern) classic cars belongs in a Mercedes but can of course also be used in a BMW or Porsche, Volkswagen Golf, T3 and many other (modern) classic cars from the 1970s up to the early 2000s.